Enter the new Redpath Power up Your Kitchen Contest, in it, you get the opportunity to Win a mini food processor by KitchenAid. This contest is open to all legal residents of Canada (excluding residents of Quebec) who are of the age of majority or older in the province or territory in which they reside. To enter you just have to visit the official contest web page and completely fill in and submit the online entry form with the requested information including name, last name, email address and postal code. Contest ends on April 23, 2019 at 4:00 pm ET. Winner will be selected by random draw from all eligible entries. The winner will receive a 3.5 cup mini food processor, a 3-piece silicone baking mat set and an Acts of Sweetness prize pack. 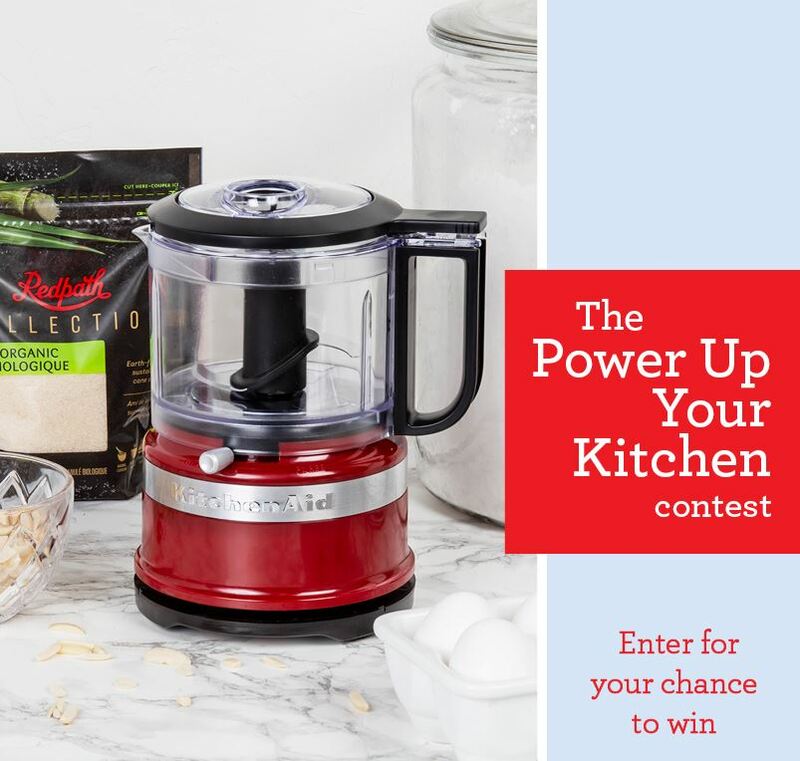 The Redpath Power up Your Kitchen Contest begins on April 9, 2019 and ends on April 23, 2019.